The White Swan is a pub that has letting rooms available. 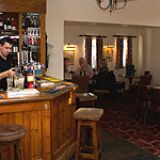 The White Swan offers a variety of drinks and has a British food menu available. 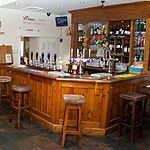 "We are an independent bar and restaurant based in Leeds, 1/2 mile from Leeds Bradford airport with a number of Yorkshire tourist attractions on our doorstep. We overlook a local cricket pitch and matches can be watched from our beer garden. En-suite rooms from £70 per night with Family rooms, Double rooms and twins room available. Our on site chef creates a wide variety of homemade meals for both Breakfast, lunch and dinner. Children are welcome in our dining room accompanied by adults. Our function room can be hired for private parties. Food and entertainment can be added. We serve a wide variety of alcoholic and non-alcoholic drinks. Our Sunday carvery is Legendary! " Under 11's must leave by 20:00 or 20:30 if dining. What did you think of White Swan? Just spend last weekend at the newly opened White Swan; from the moment we walked through the door we were made to feel very welcome. The 5 en-suite letting rooms have all been re-vamped with brand new furnishings. The food Saturday was amazing as was the Sunday carvery & Monday curry. We're flying from Yeadon airport in July and have booked the return Saturday night at the White Swan so we can leave our car whilst we're away for £1 a night. I took my family to The White Swan last weekend. We really enjoyed the Sunday Carvery. They have really turned things around in there great service and with it snowing outside and all the Christmas decorations up it felt really cosy!